The Pet Shop Boys were among the first celebrities through the door at Number 10 to congratulate Tony Blair after Labour swept to power in 1997. The duo, who first achieved success in the 1980s with hits such as West End Girls and It's A Sin, were seen as a shining example of Mr Blair's "Cool Britannia". 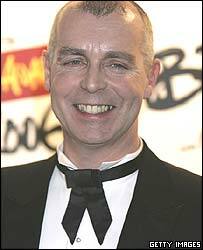 Lead singer Neil Tennant even parted with thousands of pounds in the late 1990s to support the New Labour project. But that was until Mr Blair decided to argue the case for ID cards. The move has so angered Tennant and his musical partner Chris Lowe that they have devoted a song - Integral - to the issue in their new album Fundamental. They have also been inspired to write about the relationship between US President George W Bush and Mr Blair with a song called I'm With Stupid. A spokesman for the Pet Shop Boys told the Evening Standard: "Neil has always been a Labour Party supporter, but at the last election he voted Liberal Democrat because he is completely against the idea of ID cards. "The Pet Shop Boys think we should try to increase our freedom, not limit it. They don't believe ID cards are an effective way of countering terrorism. "Some tracks are about the climate of fear that is being exploited so people can push through ID cards. "I'm With Stupid is inspired by the relationship between George Bush and Tony Blair." Lyrics from Integral include: "If you've done nothing wrong you've got nothing to fear/ If you've something to hide you shouldn't even be here/ You've had your chance now we've got the mandate/ If you've changed your mind I'm afraid it's too late/ We're concerned you're a threat/You're not integral to the project." The government's ID Cards Bill is experiencing a rocky ride through Parliament. Conservatives and Lib Dems in the House of Lords say they will continue to oppose identity card plans despite MPs rejecting their earlier objections. Ministers say anyone getting a passport should have to get an ID card and be registered on a database. Opposition peers say people should have a choice. Sources predict "protracted conflict" between the Lords and the Commons.